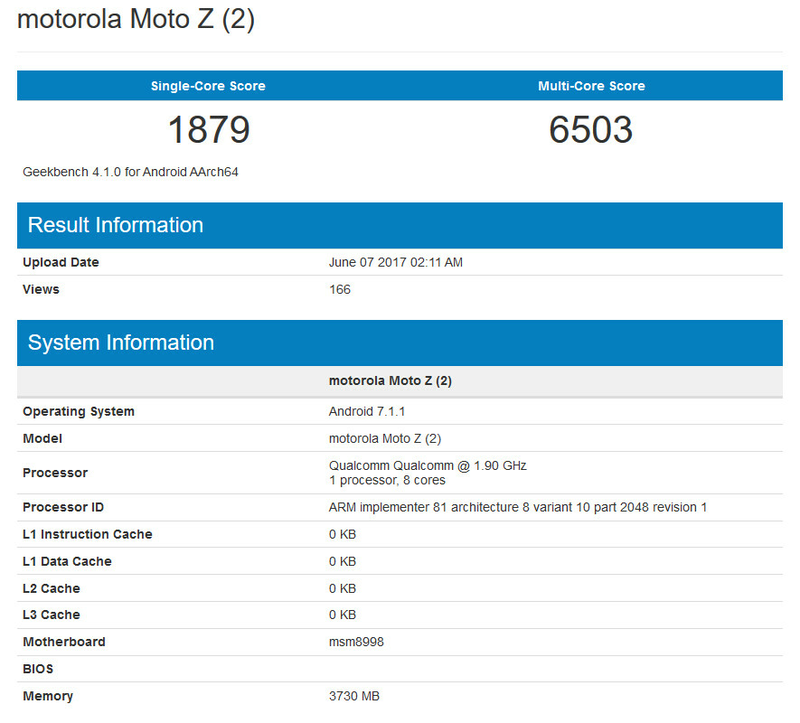 Moto Z2 found on Geekbench? When Motorola recently unveiled the Moto Z2 Play, it revealed a 15% lower battery capacity and a lighter and thinner design. A theory started circulating that Motorola made these changes so that it could sell the Moto Z2 Play as a sequel to not only the Moto Z Play, but also the Moto Z. By making the battery smaller and the phone thinner, the speculation had Motorola cutting the number of devices in the Z line to two from three. 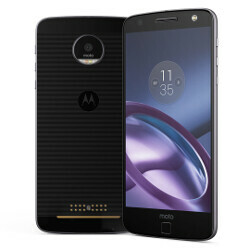 This would allow consumers to decide between the high-end Moto Z2 Force and the mid-range Moto Z2 Play, giving them an easier decision than if a third phone was offered. But as it turns out, this might turn out to be another theory that proves to be incorrect. A phone labeled the Moto Z2 has turned up on the Geekbench benchmarking app, powered by the Snapdragon 835 chipset. That includes an octa-core CPU (which was running at 1.9GHz for the benchmark test) and the Adreno 540 GPU. 4GB of RAM is inside, and Android 7.1.1 is pre-installed. As for the test scores, the single-core test tallied 1879 while the multi-core score was 6503. That indicates that as expected, the phone is not in the same class as the Samsung Galaxy S8/Galaxy S8+, but it actually comes close to the scores put up by the Snapdragon 835 powered HTC U11. If this benchmark test is legit, we should soon see the high-end Moto Z2 Force and the Moto Z2 introduced in the not too distant future. The most innovative phone out at this point in time. Dude, you have got to be the King of premature praise. Let the damn phone come out before crowning it "Most such and such" please. It'll save you a great deal of grief. Calma dude, i was talkin about the moto z not necessarily the moto z2. Afterall, this will be a refinement of the z line. Or dont u see the potential with the mods? They aren't cost effective enough to make a meaningful difference. Besides that, the mods themselves have a "but... why?" issue. Moto has done modular design better than most, sure, but they still have a long way to go before they hit mainstream success. Mainstream success has nothing to do with innovation, which is what he spoke of.